Things have a way of returning, as if by magic. 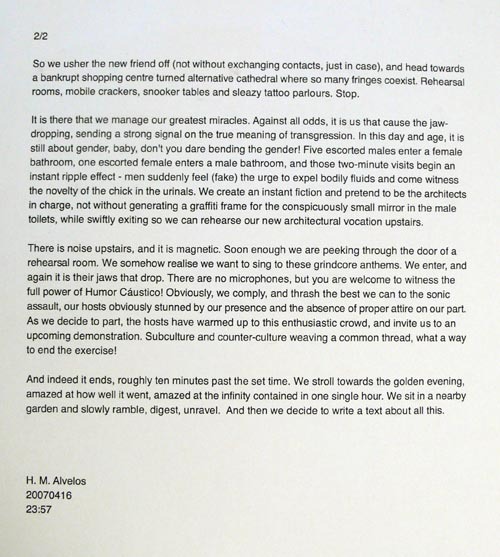 I had been hunting this text down in my digital archive, to no avail… nowhere to be found. The very following day, a student shows up out of the blue with the printout I had handed him over a year ago. 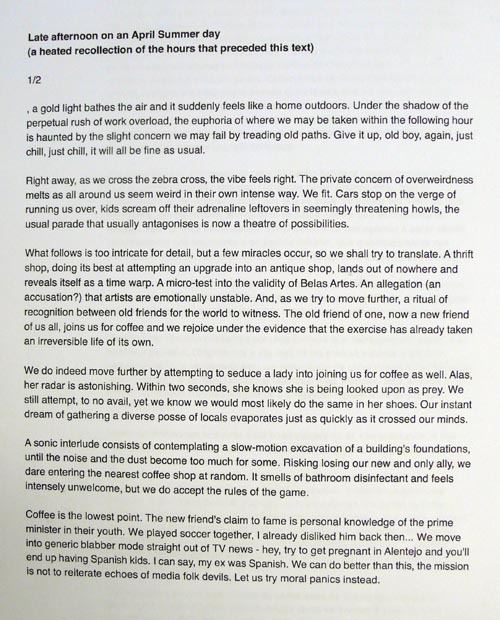 So here it is: notes from a situationist drift performed in April 2007. In these times of angst and abstraction, I felt the urge to share a document anchored on experience, on sequence. Not exactly descriptive, but certainly not speculative or opinionated – I am a bit tired of those right now.